Parts 1 & 2 below. If you don't have the time to read this right now bookmark it and read it later. It's a must read for those following the Trump/Russia story. Good news!! Voters send two more Democrats to the Oklahoma Capitol! Democrats flipped two GOP-controlled districts on Tuesday, giving Oklahoma's minority party a morale boost heading into a long season of special elections as they prepare for 2018. Voters on Tuesday decided on Democrats to represent them at the Oklahoma Capitol after their elected officials resigned in disgrace, leaving the legislative seats vacant and forcing the mid-year contests. Michael Brooks will be the new state senator for District 44 in the southwest Oklahoma City metro area, beating Republican Joe Griffin. Brooks won with more than 54 percent of the vote. On Facebook, he thanked supporters and said the race was about teachers, budget cuts and families. In Tulsa's House District 75, voters picked Karen Gaddis to replace former state Rep. Dan Kirby, who resigned following an investigation into sexual harassment claims made by a former assistant. Gaddis beat Tressa Nunley with more than 52 percent of the vote. Congratulations to Senator Michael Brooks and Represenative Karen Gaddis! This is how we begin our journey to retake each and every state the GOP controls, by winning these local level elections! Back at work Monday morning in Washington, Trump told Vice President Pence and several senior aides — Reince Priebus, Stephen K. Bannon and Donald McGahn, among others — that he was ready to move on Comey. First, though, he wanted to talk with Attorney General Jeff Sessions, his trusted confidant, and Deputy Attorney General Rod J. Rosenstein, to whom Comey reported directly. Trump summoned the two of them to the White House for a meeting, according to a person close to the White House. The pair quickly fulfilled the boss’s orders, and the next day Trump fired Comey — a breathtaking move that thrust a White House already accustomed to chaos into a new level of tumult, one that has legal as well as political consequences. Rosenstein threatened to resign after the narrative emerging from the White House on Tuesday evening cast him as a prime mover of the decision to fire Comey and that the president acted only on his recommendation, said the person close to the White House, who spoke on the condition of anonymity because of the sensitivity of the matter. Their excuses are crumbling around them. I'd like to mention here that firing Comey for the apparent reason that he made Trump mad for investigating his campaign, is not ok, and may well be impeachable. Don't get too excited -- we still have a VERY Republican Congress, but it's a start and a step. This gave me hope after reading how upset many were in the FBI tonight. On Tuesday, Dan Scavino, the White House director of social media, celebrated the six-month anniversary of the election by tweeting a screen grab of the late night phone call in which Democratic candidate Hillary Clinton called to concede to Republican candidate Donald Trump. 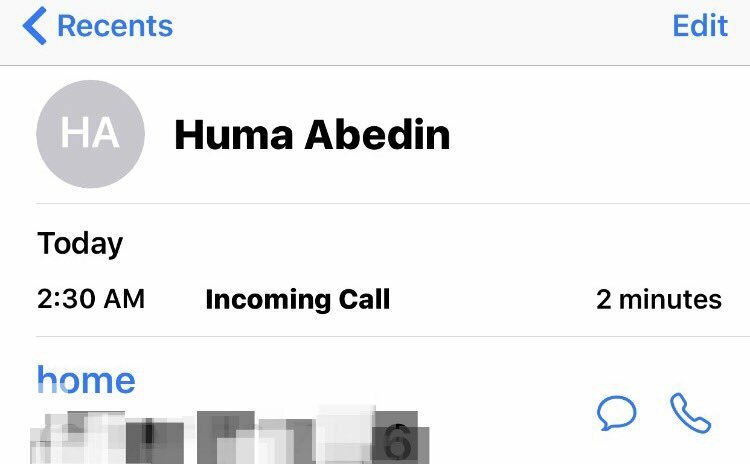 Scavino promised to share video of the conversation, which he said came via a Nov. 9 phone call at 2:30 a.m. from longtime Clinton aide Huma Abedin to Trump’s then-campaign manager, Kellyanne Conway. Scavino did not respond to an email asking when he plans to reveal the clip. He posted the message on his personal account rather than his official White House Twitter page. Scavino has previously been attacked by Democrats for using his personal account to call for the defeat of a congressman who criticized Trump. Ethics laws bar government officials from using their position to influence elections. Conway, who is now a counselor to the president, responded to Scavino on her personal account and suggested there were people who had not yet come to grips with Trump’s victory. What petty, immature assholes! Way to light a fire under the resistance, jerks! The ACLU has issued a travel alert warning Americans that they can anticipate having their constitutional rights violated if they travel to Texas. The American Civil Liberties Union issued a “travel alert” today informing anyone planning to travel to Texas in the near future to anticipate the possible violation of their constitutional rights when stopped by law enforcement. The message is clear. Texas is not a safe place for you and your constitutional liberties to travel. Just took a tough vote? This GOP congressman shows how NOT to conduct yourself back home. The footage of Rep. Rod Blum (R-Iowa) walking out of an interview with an Iowa reporter is brutal. And it's going viral for a reason: In trying to protect himself from anger in this health-care debate, Blum just made himself a target of it. Being defensive (and, in Blum's case, dramatic) is pretty much the opposite of what House Republicans who could be vulnerable for supporting the House health-care bill need to be doing right now. In the political tinderbox that is much of America right now, one impulsive comment or action — like walking out of a TV interview that hadn't even touched on health care — can light a fire that spreads across the nation. Let's start with the interview in question. KCRG-TV reporter Josh Scheinblum asks Blum, who voted for the controversial House health-care bill last week, why he's checking people's IDs for a town hall later that night. For several months now, Republican lawmakers across the nation have been flooded with constituents — many but not all of them on the left — angry about the proposed changes to health care.